Here are some more Line Material Co. insulators and spools. 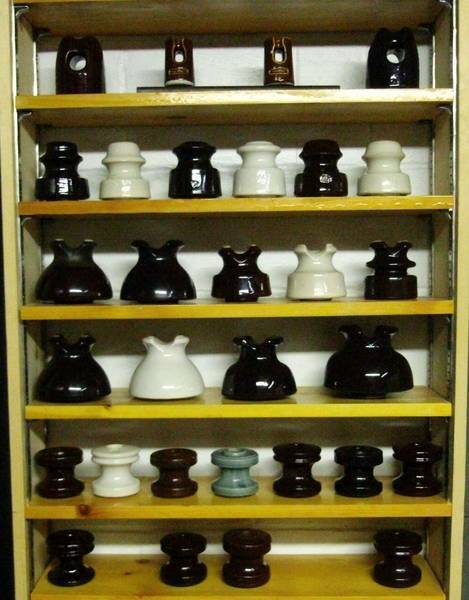 I had more pin types that had been sold or given away from my porcelain insulator collection so I am going to try to find some of the similar ones I once had. On the top shelf is one of my favorite wire holder brackets in a nice light brown glaze.